The late John Moser, a longtime volunteer and familiar face to residents of Rockville, will be formally recognized by the Mayor and Council Monday night for his years of service to the city. Among his many roles, Moser served as chair of the Rockville Arts Commission. Moser was a major proponent of ensuring public art be a prominent aspect of future development in the city, including in its revitalized town center. That is probably his most obvious legacy to the city. Conspicuously missing from the agenda for Monday's meeting, is a formal agenda item for discussion of the Confederate statue, which is expected to be a topic that evening. 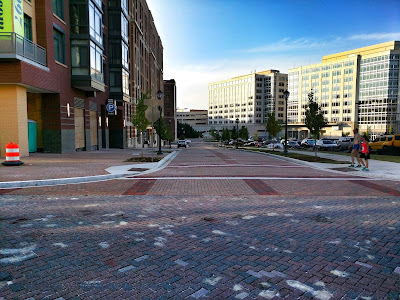 Here's an updated set of photos from the newest street in Rockville Town Center, temporarily known as Renaissance Street. As you may recall, Choice Hotels has asked the city to consider renaming the street, which has a moniker uncomfortably similar to a competing hotel brand. The Rockville Planning Commission is expected to act on the request at next week's meeting. 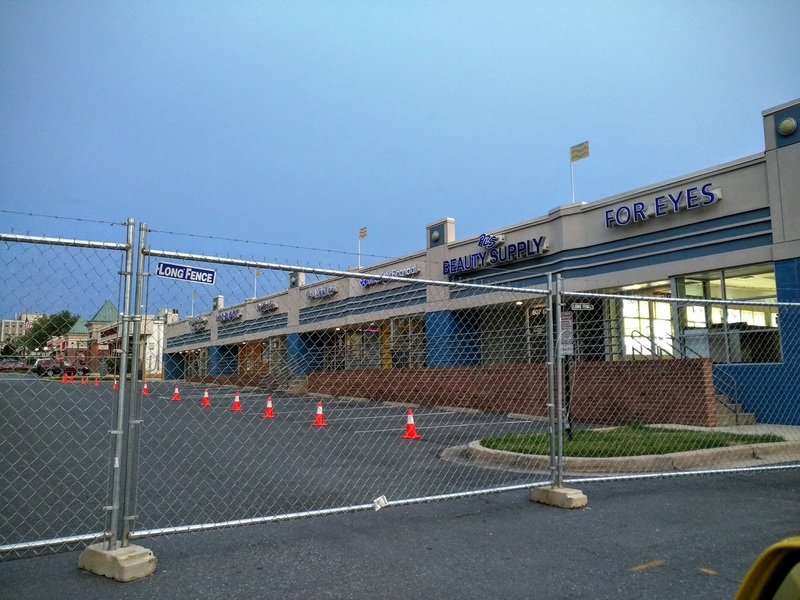 Rockville Councilmember Tom Moore wrote to the city's Planning Commission to request an update on when the Mayor and Council might expect the Rockville Pike Plan back from that body. That letter was brought up at the commission's last meeting. According to commission chair Don Hadley, Moore expressed a strong interest in receiving the plan in time for the current Mayor and Council to act on it prior to Election Day in November. Should this not happen, Hadley said, Moore implied that the work of residents, staff and elected officials would be wasted. Commissioner John Tyner noted, jokingly, that Moore "didn’t thank the members of the Planning Commission of our 4 years of work on this project." Overall, none of the commissioners expressed any concurrence with Moore's choice of timing, and several referred to it as an "artificial deadline." To the idea that any further delay would have wasted time and effort, Commissioner David Hill responded that the commission had taken great time and effort to obtain citizen feedback on the plan, and said "I don’t think that’s a wasted effort in any manner." Commissioner Jack Leiderman argued that it was the Council majority that overturned the city's Adequate Public Facilities Standards for school overcrowding that was actually to blame for the holdup. "When the Mayor and Council unilaterally changed the apes standards, it sort of changed the groundwork upon which our plan had been developed," Leiderman said. "We did warn them in advance that it would be disruptive to the planning process for the Mayor and Council to move precipitously in that area. They chose to go ahead and do that." is actually the cause of the delay." "I think this commission reserves the right to reassess the plan in light of what now needs to be discussed," Leiderman continued, "because the [Adequate Public Facilities Ordinance] and APFS are repeatedly referred to in the plan. And so I don’t make any apologies to anyone on the council who’s asking why is there a delay, because the council majority is actually the cause of the delay." After getting feedback from commissioners, Hadley said he would compose a letter representing their thoughts on the matter. "We’re not a political body, we’re not playing politics," Hadley said, stressing that the commission is committed to updating the plan under the new APFS standards in the best interests of residents. 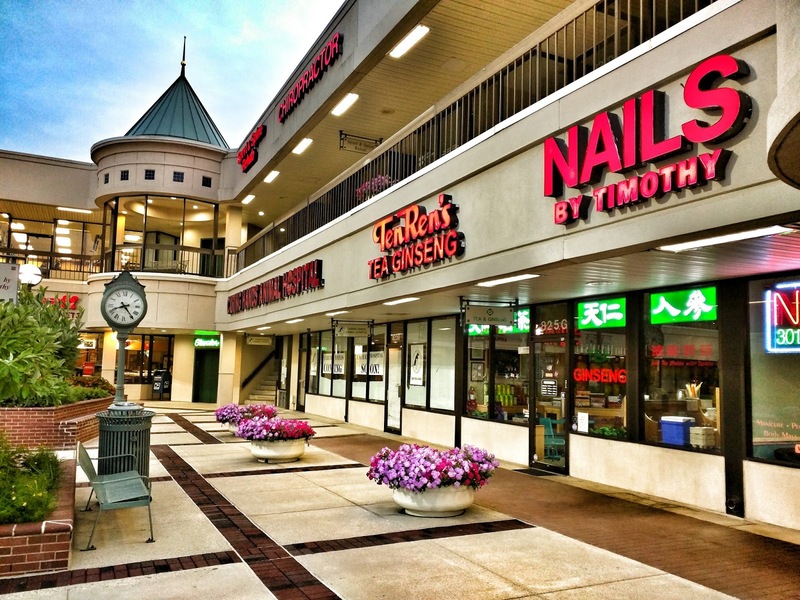 "The easiest way to put it," Tyner suggested, "is that when we’ve completed our deliberations, and have come up with a plan that’s in the best way for the needs of the citizens of all of Rockville, then we’ll send it forward." 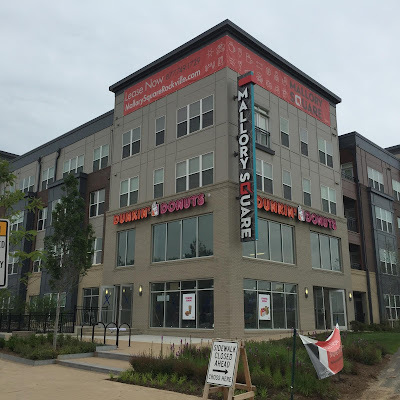 The latest addition to the growing Dunkin' Donuts empire in Rockville will be at The JBG Companies' Galvan development at 1800 Rockville Pike. Near the Twinbrook Metro station and the Hilton hotel, the mixed-use project will be anchored by a Safeway grocery store. Meanwhile, construction continues inside another Dunkin' Donuts store in the Mallory Square development further north at 15251 Siesta Key Way. Boris Lander, principal of the Luis Group that owns the franchises, says he expects the Mallory Square location to open in late August. They plan to have a free coffee giveaway to celebrate that opening, so stay tuned as the time approaches. 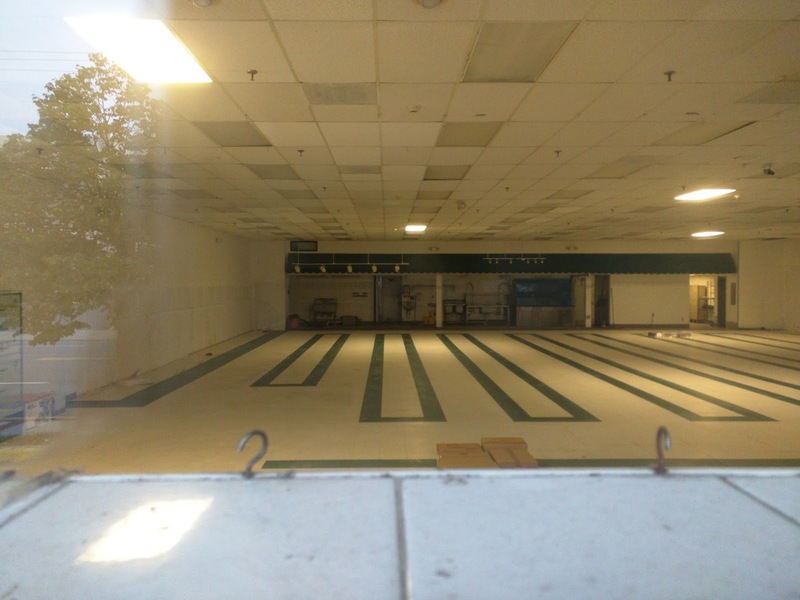 Lander says the Galvan Dunkin' Donuts will open in 2016. The Galvan building is still under construction. 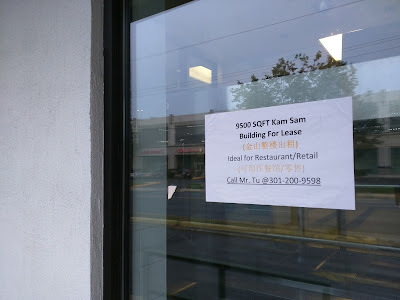 Kam Sam, a popular Chinese supermarket at 300 N. Washington Street, has been closed for some time. The owners retired just as Rockville is becoming recognized as being home to the region's new Chinatown, including 4 new Asian-owned businesses on N. Washington and a second Asian supermarket nearby on Rockville Pike. 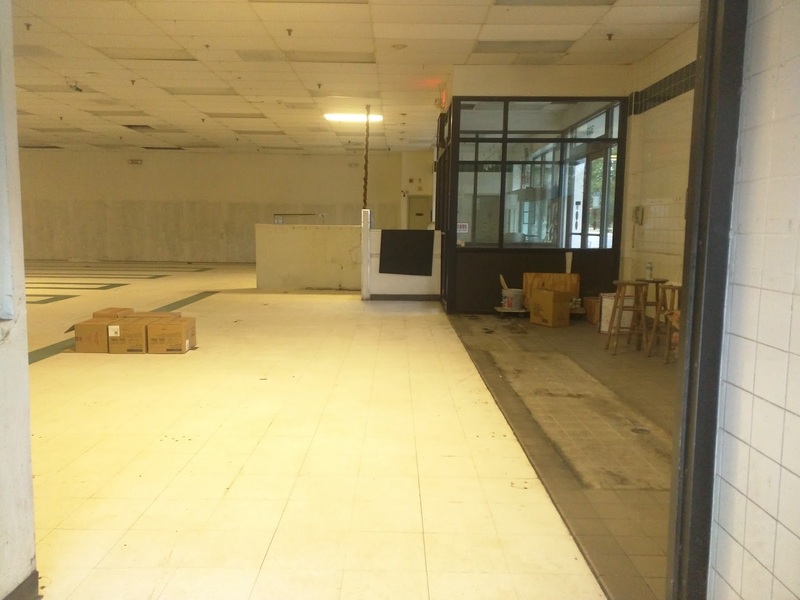 Now the 9500 SF former store is cleared out, and available for lease. Laytonsville resident Frank Howard has officially filed to run for Congress in Maryland's 6th District, the ridiculously-gerrymandered area that runs from Western Maryland all the way into many parts of Montgomery County. 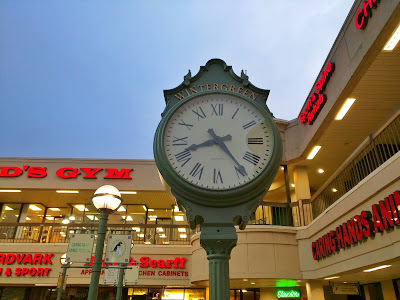 Within Montgomery, it includes rapidly-growing towns and cities like Gaithersburg, Montgomery Village, Germantown and Clarksburg; rural areas like Poolesville; and parts of Rockville and Potomac - and even a tiny bit of Bethesda, around Westfield Montgomery Mall. 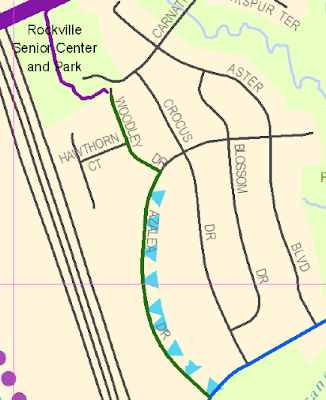 But wait, there's more: it also takes in parts of Aspen Hill. The seat's current occupant, Congressman John Delaney (D), has been considering runs for the retiring Barbara Mikulski's U.S. Senate seat, and Maryland Governor. Howard says he would seek to lower the U.S. corporate income tax, restore defense spending, protect Western Maryland workers against the "War on Coal", and replace the Affordable Care Act with a free-market alternative. The Republican ran a formidable campaign for the District 14 State Senate seat in 2014, in which he was endorsed by the Washington Post, The Gazette, and the Maryland Farm Bureau PAC. An Old Dominion University graduate, Howard is an Air Force veteran and an owner of Shipley Associates. 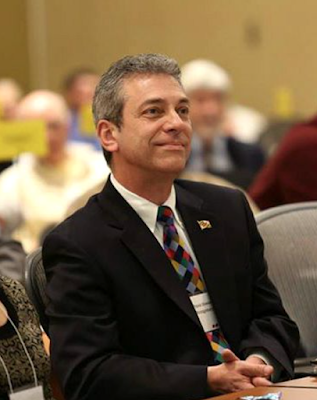 He has also been active in the community, as President of the Board of Directors for Second Chance Wildlife Center, and with Gaithersburg Meals on Wheels. 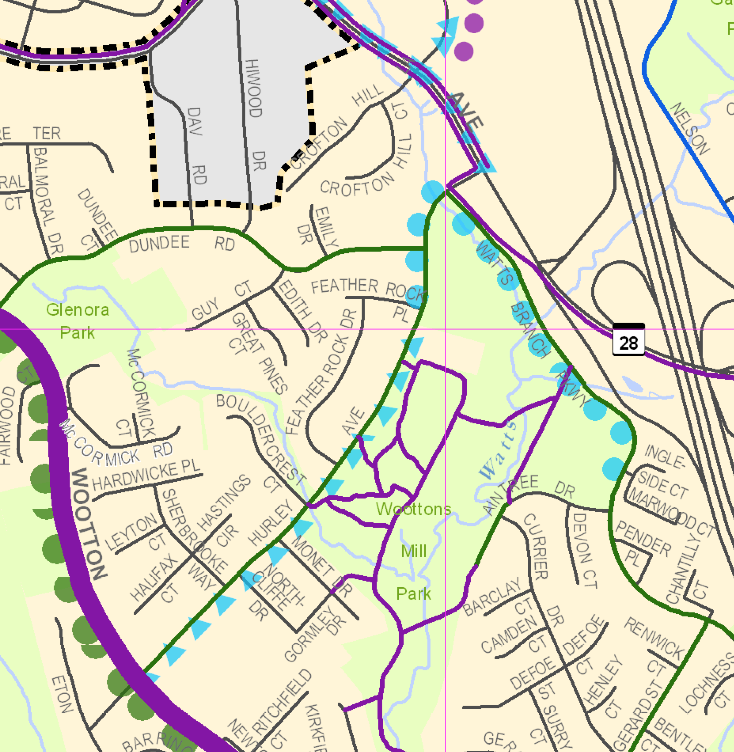 Concerns that residents of roads where bike lanes could replace street parking aren't aware of the Rockville Bikeways Master Plan led a Planning Commission discussion on the draft document last night. There were also questions about the specific implementation of the plan, and how much say residents and the Planning Commission would have over it, versus city staff. Commissioner Jack Leiderman said it seemed the commission would be "transferring our authority to staff’s discretion" during the implementation phase of the plan. In contrast, the commission has much greater say in the final bicycle infrastructure that will be constructed under the eventual Rockville Pike Plan. With the bike plan, city staff would essentially wind up with "carte blanche" authority over issues like parking removal for bike lanes on targeted routes, Leiderman said. Leiderman also questioned whether or not residents on all routes that could lose street parking are fully aware of that detail, as opposed to simply hearing general information from the city about bike facility improvements. He asked that the commission be able to review outreach materials before they are mailed to residents, to ensure the street parking removal is prominently highlighted. Azalea Drive, having nipped the proposal for their street in the bud, organized resident opposition and their lane has now been removed from the map. 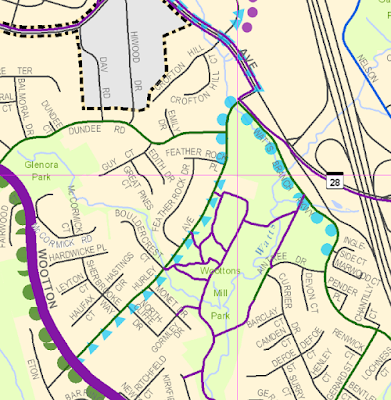 That newer map, which also showed areas where street parking might be lost in gray, was shown during the meeting but does not appear on the Bikeways Master Plan page on the city website. Leiderman wondered if other streets simply hadn't realized they were on the list, as well. "We know the residents on Hurley Avenue have not agreed to this" yet, Leiderman said as an example. "Planning, to be effective in this city, cannot simply be from the top down," Leiderman argued. He also suggested conducting outreach after Labor Day, rather than during the summer when many are traveling. A public hearing on the bikeways plan will be held in October. Commissioner Charles Littlefield was uncomfortable with giving residents of the streets in question too much authority in the parking question. If they are able to overturn the plan's recommendations, Littlefield said, the result would be a more segmented system. Littlefield said he would find giving up some street parking acceptable, if the end results were more connectivity and a citywide increase in bike ridership. Some of the streets in question, it should be noted, have an existing shortage of parking. Commissioner David Hill said he would like the plan to include striping the Millennium Trail to better indicate it is a two-way path. Hill said he has encountered groups of joggers, running five-abreast toward him on the trail, while he is bicycling. 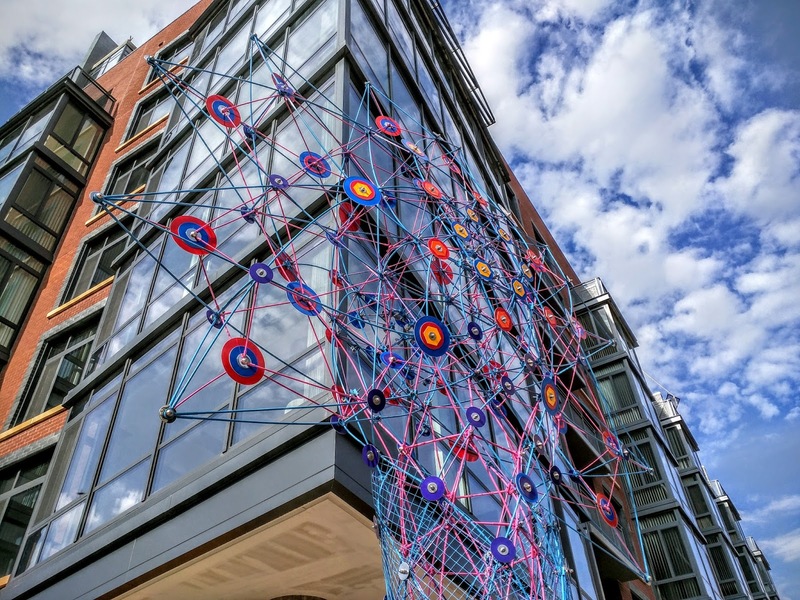 He also recommended adding bicycle stations with secure bike parking, basic bike service and showers at the Twinbrook, Rockville and Shady Grove Metro stations. The current special orders system for beer, wine and liquor in Montgomery County is hurting bars and restaurants' bottom lines and social media reputations, according to several county businesspeople who testified before the Ad Hoc Committee on Liquor Control last night. Mark Moore of Bethesda's Tyber Bierhaus said that customers can't always get the special German, Belgian or Czech Republic brews they were expecting there, leading to negative comments online that hurt business. The reason some of his taps are not in use at times, Moore testified, is that the County Department of Liquor Control can't fulfill the special orders. Hans Olson of Clyde's Tower Oaks Lodge recalled that his business was told by the DLC that a bartender staple, Maker's Mark, was simply not available during the busy holiday season. Another popular spirit, Grey Goose vodka, was unavailable in the county for six weeks on one occasion, he said. 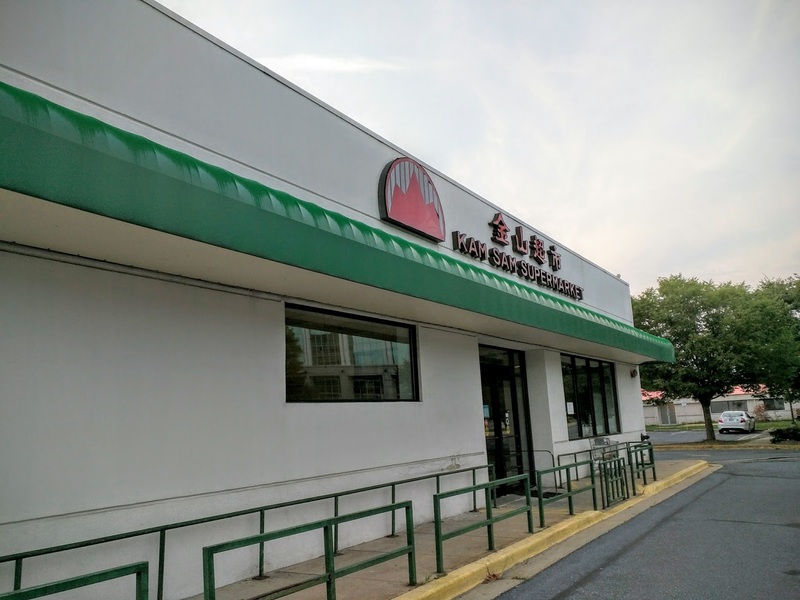 And prominent local chef Geoff Tracy, who owns Chef Geoff's in Rockville and Lia's in Friendship Heights, said the DLC is currently unable to serve MoCo restaurants at the level of service their DC and Virginia competitors currently enjoy. Montgomery County is the only jurisdiction in the state of Maryland with total government control of liquor through the DLC. 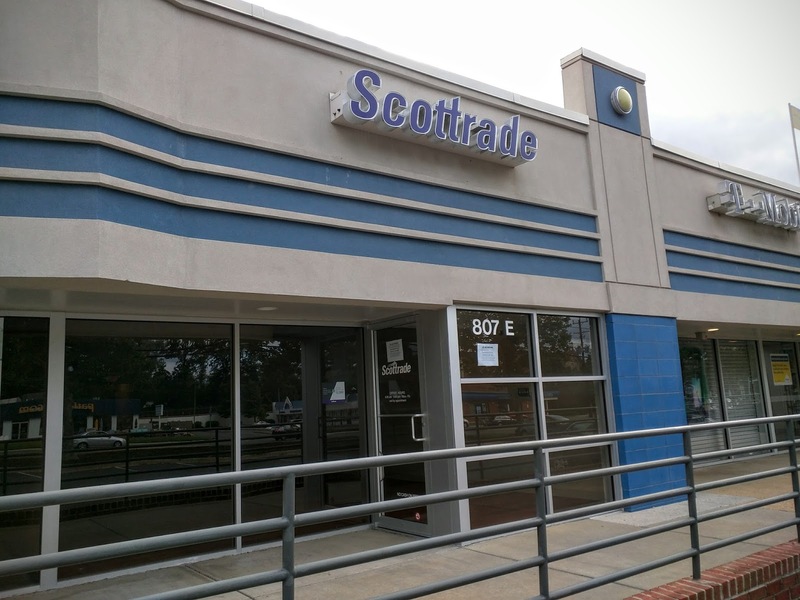 The Ad Hoc Committee has been unsuccessful in answering the question of many residents and businesspeople: Why is the county involved in the liquor business to begin with? It is now down to only one reform suggestion, allowing alcohol wholesalers to sell and deliver special orders to retailers and restaurants. DLC would continue to have a monopoly on distribution of "stock" beer and wine. Of course, this will cost around 15 county employees their jobs, for which the proposal offers little substantial remedy. And it will take a sizable chunk out of the approximately $30 million in revenue the county takes in annually from liquor sales. To make up that lost amount - now even more critical with the Supreme Court Wynne decision costing MoCo $50 million in the FY-2017 budget, and added Purple Line cost of $50 million - the county will have to levy some kind of tax on alcohol sales. Such a tax or fee could end up raising the cost of alcohol. Some in the hospitality business question why the county is still entitled to revenue, if it is no longer providing any service. Good question. What's the justification? And, while we know "Option 4" will be financially beneficial to a few private liquor distributors, will the new special order system sustain, worsen or improve the current situation for restaurants, bars, and their patrons? Sure, accounting and delivery speed will surely improve, but what about prices, particularly with the unknown county tax added? Molly Horn, bar manager at the new All Set Restaurant and Bar in downtown Silver Spring, noted that customers can now get the same drink for a lower price right over the border in DC under the county's current system. That's a huge disadvantage to county restauranteurs and patrons. 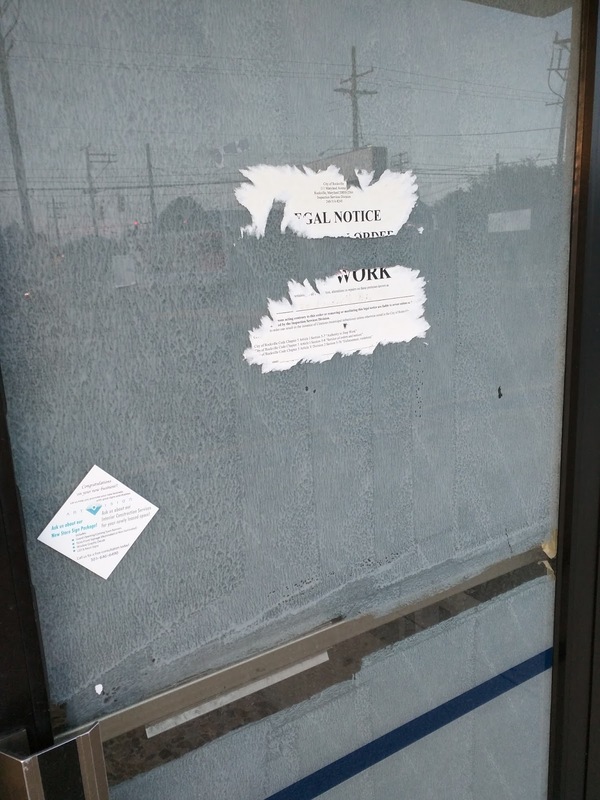 But the county even gouges retailers, currently. Charleen Merkel of Bradley Food & Beverage in Bethesda said the county is charging private retail stores like hers a higher markup on wine, while selling it for a cheaper price to consumers in county-operated liquor stores. Of course, Option 4 sounds good under the circumstances. If you were a political prisoner surviving on bread and water in solitary confinement, and the warden said you could have a prime rib and a run around the prison yard once a day, you might consider that good news, too. But it wouldn't make the overall wrong right, and hardly be celebration-worthy. But there's entirely too much fawning media coverage of the "effort" to reform the liquor system in Montgomery County by Councilmember Hans Riemer. If Option 4 indeed comes to pass, it won't be the end of liquor control by county government. It doesn't assure that prices will be lower in the long term. What Riemer and other officials are saying is, we're going to give you back a little bit of your business we have no business being involved with in the first place. They're still not getting out of that business. And they still don't trust you, the adult taxpayer, to buy Bud Light or a sub-$10 wine bottle at Giant or CVS. Before the MoCo political machine apologists say, "but that's the state law, not the county!" - yes, it is. But charging a tax and allowing private distribution, if Option 4 comes to pass, will require two legislative actions in Annapolis. Why not add in grocery and convenience store sales to the legislative "ask" at the same time? Guess what, they're not going to. Put those pom-poms away. Speaking of fawning media coverage, when will the local media ask Councilmember Riemer what he knew, and when he knew it, regarding alleged illegal activity in the DLC? Riemer appeared to be highly-involved in an NBC4 investigation, which purported to show employees drinking on the job, and engaged in other illegal activity. Yet that report, which included a well-staged, formal sit-down interview with Riemer, aired a mere 48 hours after Election Day in November 2014. Was illegal activity in DLC known to Councilmember Riemer prior to Election Day, but not disclosed until after he was safely reelected? 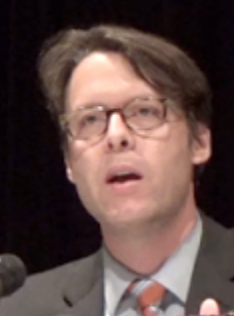 Riemer and the County Council have oversight authority over the DLC, and each of them took an oath of office that required them to uphold the law, which would include reporting illegal activity immediately to law enforcement authorities. 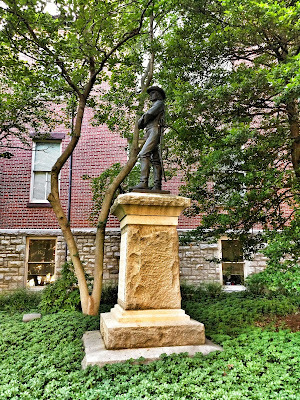 An overflow crowd turned out to speak and listen at an unusual work session called by the Mayor and Council Monday night, to discuss the fate of Rockville's Confederate soldier statue on the grounds of the Red Brick Courthouse. 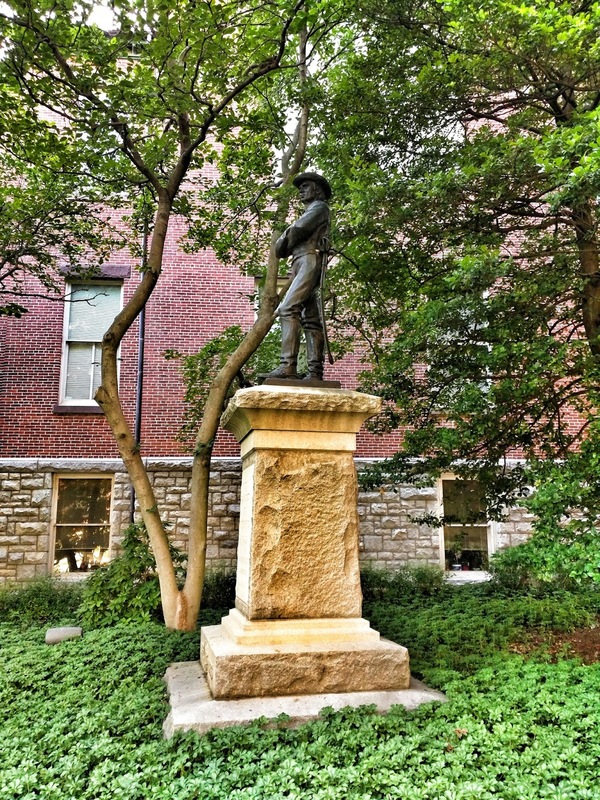 Many residents of the city, Montgomery County, and the state of Maryland said removal of the statue would merely be an attempt to erase the history of those jurisdictions' involvement on the side of the Confederacy during the Civil War. Others said it represented a message of pure hate, white supremacy, and an orchestrated attempt to recast the Confederate cause in more noble terms. Some were even descendants of actual Confederate soldiers, who were offended by some speakers' attempts to compare those Americans to Nazi and Japanese soldiers in World War II. Two additional lines of argument emerged over the evening. First was increased questioning of Montgomery County Executive Ike Leggett's authority to be "the decider" in this case, after Leggett announced Friday that he had made the decision himself to remove the statue. Along those lines, there were questions as to where the money to move it and store it would come from. Secondly, two speakers noted that the U.S. Congress in 1958 passed an Act of Congress that made all Confederate veterans American veterans. The evening began with a panel of local experts on history and the Civil War, as TV station cameras jockeyed for room in the crowded Mayor and Council chambers of City Hall. “Unfortunately, we can’t pick and choose what we receive from the past,” Matthew Logan, Executive Director of the Montgomery County Historical Society said. Logan said that the statue represented the Confederate sympathies and soldiers of Montgomery County during the Civil War. He hoped that, rather than hide the statue away, it could be used to "launch a broader discussion about how the symbols from our past affect us to this day. The way we resolve this dispute is more important than the ultimate fate of the statue," Logan said. Nancy Pickard of the Peerless Rockville historical organization said the rush to judgement on the statue "pretends that the past does not exist." 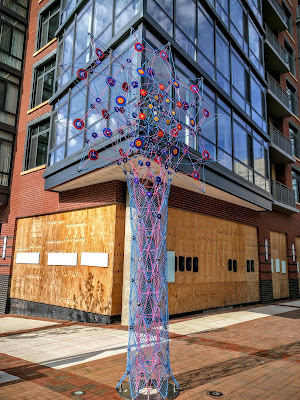 She described it as an "important vestige of our city and county history," arguing that "erasing those memories, instead of allowing them to inform and educate, is a mistake." Historian Eileen McGuckian, who has written extensively on the history of Rockville, called the historic courthouse "the right place" for the statue. The brick structure was so much the center of life, McGuckian said, that the village "was known as Montgomery Courthouse" before it was Rockville. 1913 was a poignant time to erect the statue, she said, because area Civil War veterans were now dying. In sometimes personal and emotional testimony, Tony Cohen of the Menare Foundation and Button Farm questioned where all of this reconsideration of historic symbols would lead us as a community. 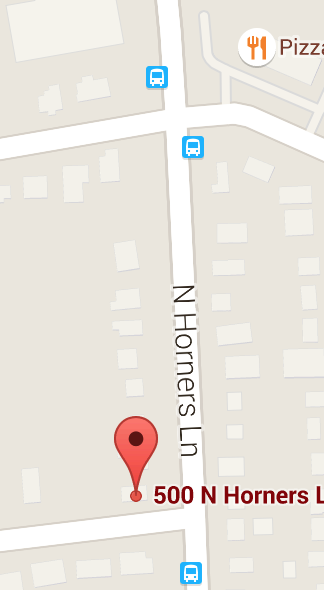 Would streets named for local Confederate sympathizers be changed, as well? Rockville Mayor Bridget Donnell Newton said she had just spoken with Leggett earlier Monday. While Newton said he was not yet reconsidering his decision to remove the statue, she added that "he’s looking to work with us," and that the executive acknowledged it would be appropriate for the Historic District Commission to at least give some feedback on the issue. 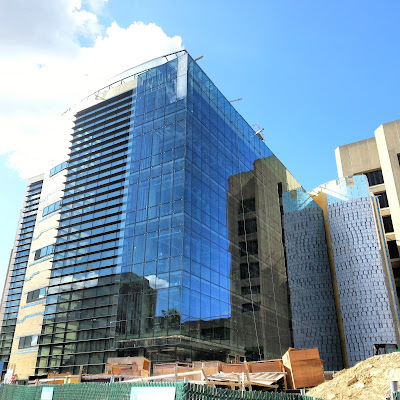 To those who have said the process is moving too quickly, Councilmember Tom Moore said, "I should have spoken up 18 years ago, when I first arrived in Rockville. I reckon we are moving 18 years too slow." Councilmember Virginia Onley said she was pleased at the level of interest the community displayed in the topic through its turnout. "There are a lot of folks in this room that I don’t recognize. I want to thank each and every one of you," she said. 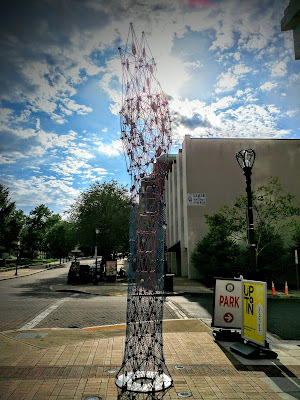 A Silver Spring resident said, "just melt the thing down," and use the resulting material to create a new statue promoting unity. One of the creators of an online drive to remove the statue said it "should be removed immediately, and never returned to public property again." He said it was erected by selfish, "white politicians seeking to unify white Montgomery County residents for their own benefit," during "a time of extreme race hatred” in Maryland. In equally strong comments on the other side of the issue, a Maryland Confederate heritage organization member said removing the statue would be a "surrender to the Dylan Roofs of the world," saying his group strongly resents the appropriation of Confederate symbols by hate groups. Civil War re-enactor and county resident Galen Fairbanks said, "only totalitarian regimes edit their history. This is America, let’s act like it." Brian Karem, editor of the Sentinel newspaper, said he hadn't planned to speak, but actually made a strong point about just how far Confederate sympathies and participation had extended in Rockville during the War Between the States. 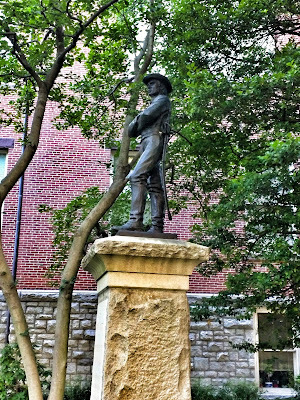 He recalled the head of the 1st Maryland Confederate Cavalry was a mayor of Rockville. Karem gestured toward a wall in the room and noted that former mayor's "picture is right there on that wall." Adol Owen-Williams II, asked how many black Republicans were in the room. "Me and me alone," he replied to his own question, pointing out that the NAACP was founded by Republicans. "I vehemently oppose moving this statue," he said, noting the participation of free blacks in the Confederate army. Owen-Williams suggested we face more pressing issues than the statue, but instead the county is "busy focusing on irrelevant things." 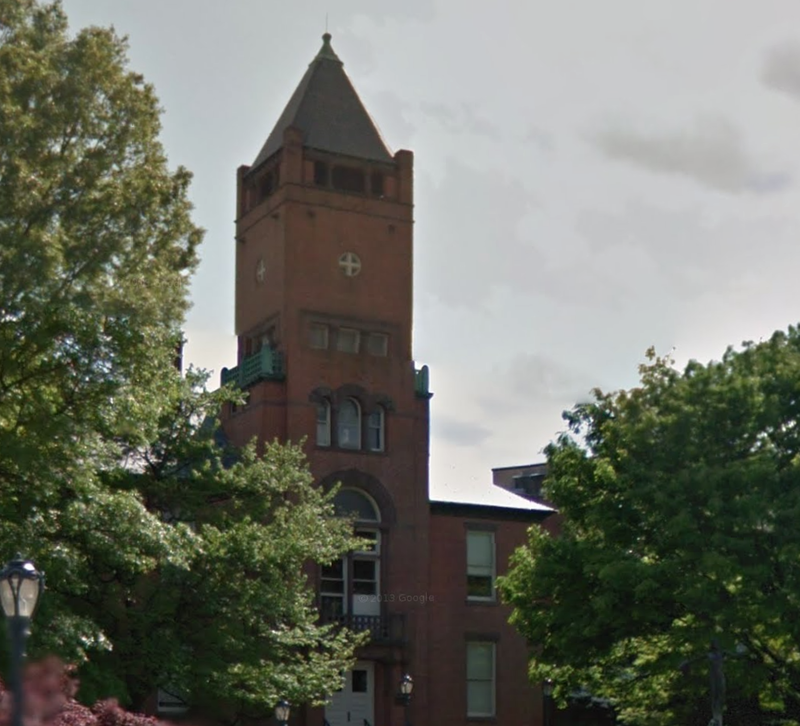 Despite Leggett's decision, at least one other discussion will be held in a closed meeting at the behest of County Council President George Leventhal, and the HDC is expected to discuss the issue as well. 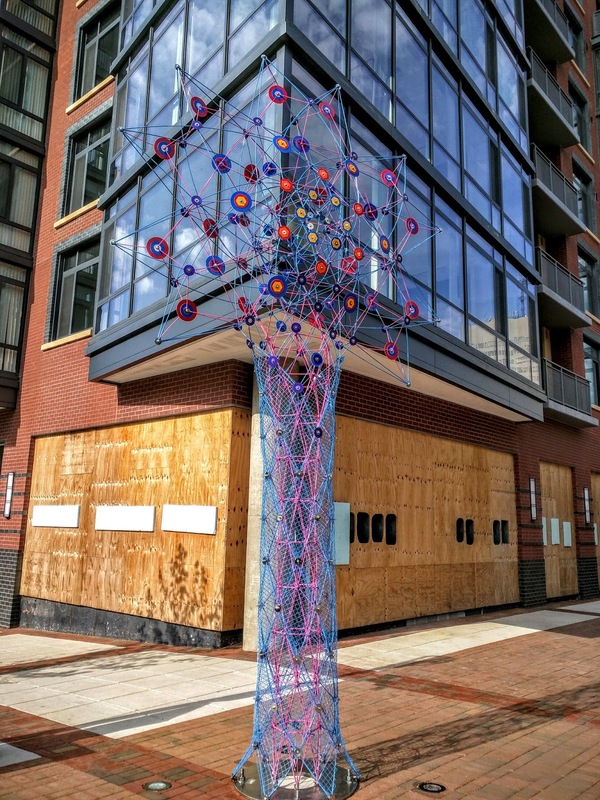 Here is a public art piece outside The Upton apartments in Rockville Town Center. The scheduled meeting of the Rockville Historic District Commission tonight has been canceled. Watch out, or watch your wallet. A new speed camera is being deployed this month in the 500 block of N. Horners Lane in East Rockville. The good news? No citations will be issued in July. The bad news? Beginning August 3, citations will be issued for vehicles exceeding the posted speed limit by 12 mph or more. 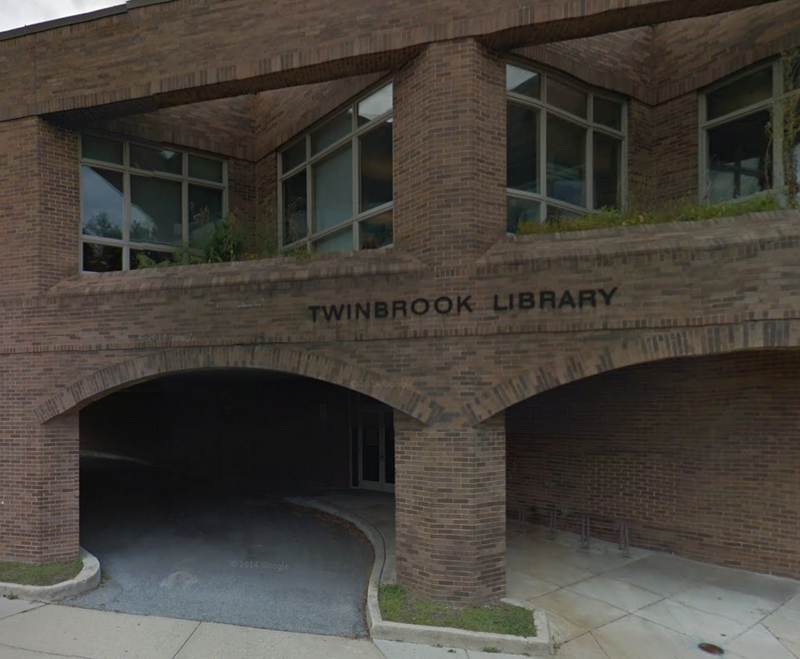 When the Twinbrook Library in Rockville closes at 6:00 PM on Saturday, July 25, it won't open its doors again to the public for about four-and-a-half months. During the closure, Montgomery County's Department of Public Libraries will perform a "refresh" renovation. 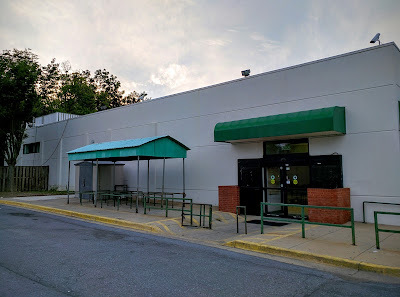 This is the first Montgomery County library to receive the refresh treatment, a new concept by MCPL to make more frequent improvements countywide, rather than wait for a 20-30 renovation or replacement. 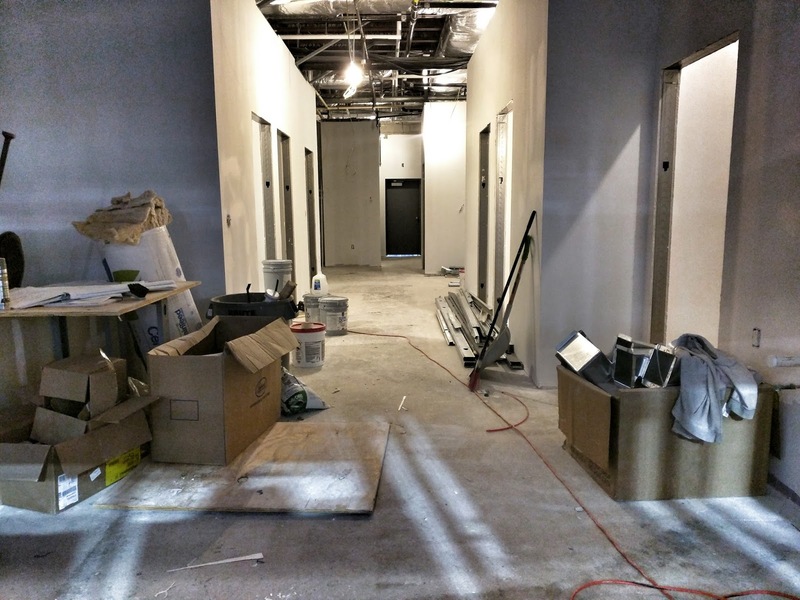 The interior will be rearranged to create a new layout and 2 small conference rooms. The Children's section will be repainted and re-carpeted. Finally, public restrooms will be "modernized." Twinbrook Library will not be available as a pickup location for holds during the closure. The book drop will remain open for returns through Thursday, August 13. Library patrons are being directed to the Aspen Hill and Rockville branches during the closure. A number of changes to the city code that would transfer powers currently under the City Manager to the City Attorney and City Clerk passed 3-2, with Councilmembers Tom Moore and Julie Palakovich Carr opposed. Both officers would now have direct supervisory, and hiring and firing power, over employees in their respective offices. The City Clerk would also gain the title of Director of the Council. Mayor Bridget Donnell Newton proposed an amendment to strike language that she felt would have prevented the council, as a body, from weighing in with the City Manager, City Attorney or City Clerk on personnel under their respective supervision. Moore said he thought Newton would prefer to have the Strong Mayor form of government in the city, rather than the current Council-Manager form. "I will thank you not to put words in my mouth, thoughts in my head, or dreams in my heart," Newton retorted. "I am frightened," Moore went on minutes later, that the mayor believes she has hiring and firing authority over employees supervised by the City Manager, City Attorney and City Clerk. "I am going to ask you to knock it off, and not put words in my mouth," Newton replied. Newton's amendment passed 3-2. A similar amendment to another of the code changes also passed 3-2. 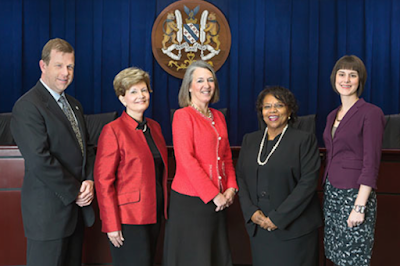 Around quarter to midnight last night, Rockville's Mayor and Council reached a consensus on new guidelines for city employee compensation and classification policies. After hours of discussion to reach that point, Mayor Bridget Donnell Newton noted that the body still had 12 items left on the meeting's agenda. While the city will adopt a hybrid system that includes steps for city police and employees represented by the American Federation of State County and Municipal Employees (AFSCME), the final approach adopted was not the most generous on the table. 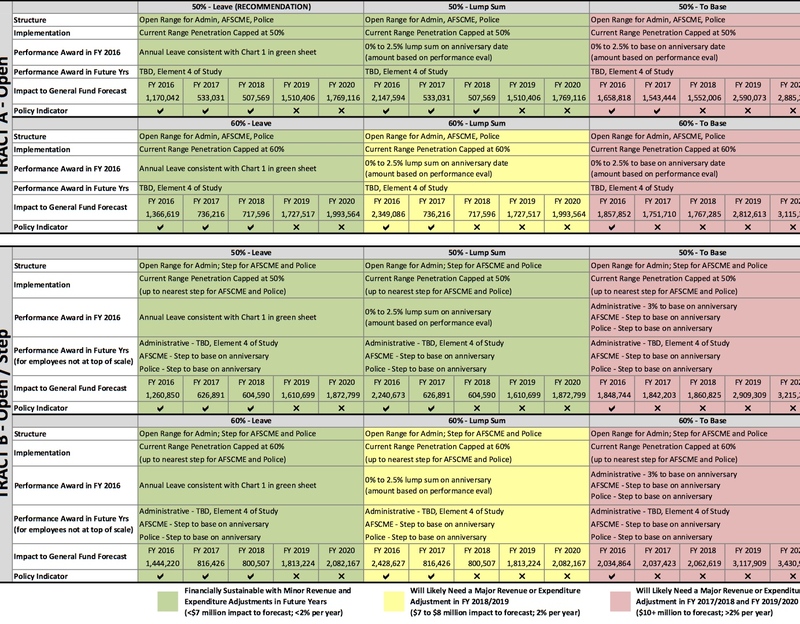 The city's Chief Financial Officer, Gavin Cohen, prepared a one-page table that laid out the fiscal implications of providing anything more generous than what staff and consultant Evergreen recommended earlier this year. Councilmember Beryl Feinberg asked if the chart reflected the potential $800,000+ in financial obligations the city might ultimately have to bear as a result of the Supreme Court's Wynne decision. Cohen said it did not. Ditto for additional financial obligations and capital expenditures in FY 2017-19. On the question of whether the city could afford to offer COLAs and step increases together, Cohen said "we don't believe that we can without" significant changes to either revenue or expenditures. Newton argued that "We are in this position because we have let 6 years go by without doing anything compensation wise. One of the reasons we don’t have the wherewithal….is because we went to 20% reserves." Despite surpluses during several of those years, city employees never received step increases, she said. Spending decisions "have limited this body’s decision making capabilities" on employee compensation. 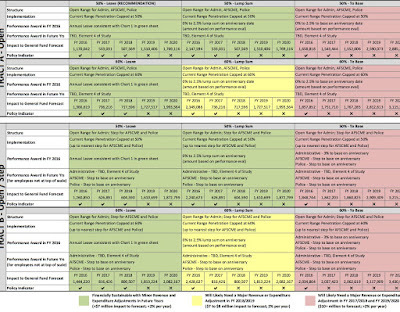 Councilmember Virginia Onley asked Cohen, "Had we not had increased the reserve…how much of this sheet would have been green had we voted” to not go to 20% reserves? "From my perspective, none of them would have changed," Cohen responded. "The problem isn’t the …. reserves. The problem is ongoing. We should differentiate between the pot of money that you have, and the ongoing expenditure. That becomes the problem. It’s the combination of the things that makes it unsustainable. 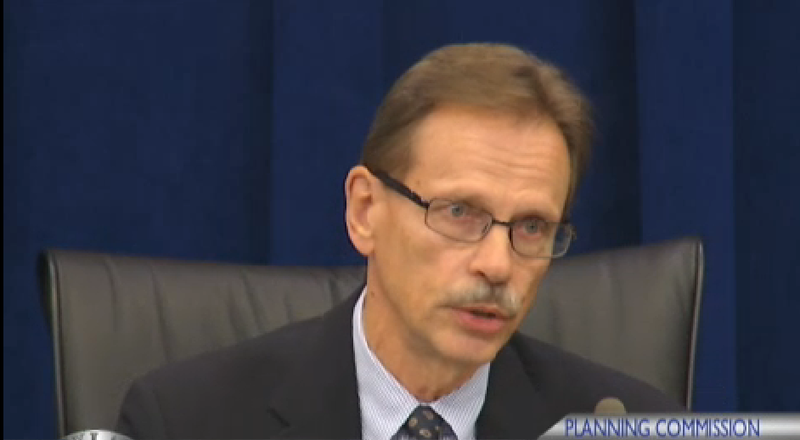 "It’s the compounding” that makes it more expensive, Cohen said. "You start in '16, it’s the compounding of that” that is going to make it prohibitively expensive. "We’re doing a disservice to the rank and file staff," Newton said. The mayor recalled her time on the council during the recession, when city employees' compensation dry spell began. "I bought into it," she said of the fiscally-conservative approach. But she believed "that we would make that change as soon as we" could, she said regarding restoring salary increases. 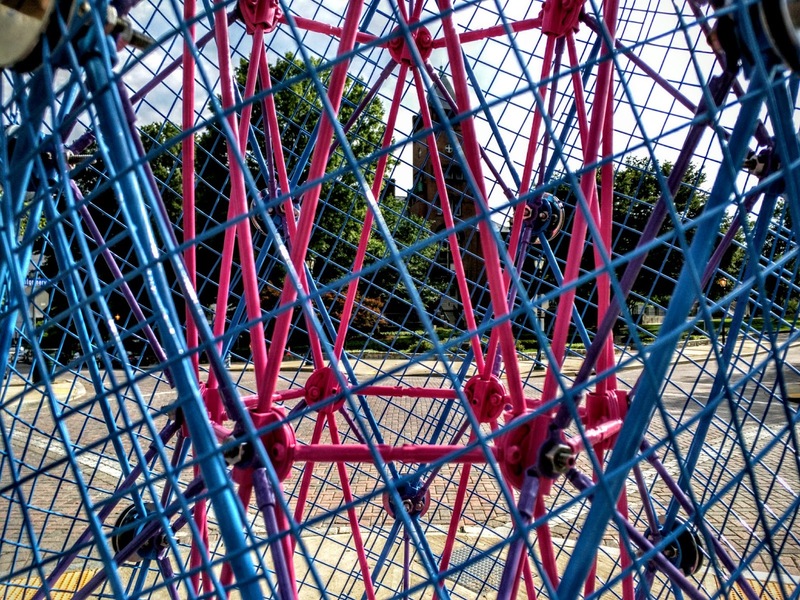 Such a boost "honors the work that people in the city do," Newton argued. "The rank and file have not even gotten a COLA or a bump. I think we need to be honest about things. I really think you’re being disingenuous…you want to scare our city, scare our staff, into thinking that we don’t have the money." When it came time to vote on the action items in the report, controversy resurfaced over what Councilmember Tom Moore said was reopening a discussion that had been settled by an early May vote on Item 1. That item read, "Maintain the adopted compensation philosophy or modify the philosophy to accommodate step pay plans for AFSCME and Police." "As far as I’m concerned," Moore said, "we decided that May 11. When we vote on something it matters." "I would go for an hybrid plan which would have the FOP on a step plan, and administrative staff on an open range plan," Feinberg said. Councilmember Julie Palakovich Carr suggested having the City Attorney settle the question. City Attorney Debra Yerg Daniel said the mayor and council were free to vote again on the question from a legal standpoint. "The mayor runs the meeting," she said. Newton then attempted to call the vote. "We can go through this lawlessly if you like," Moore said, arguing the mayor wanted to “blow through the rules." "The mayor is not 'blowing through our rules,'" Newton replied. "The mayor is following the advice of our city attorney." Newton called the vote again. Moore appealed her decision under council rules. Moore, Onley and Palakovich Carr then voted 3-2 to overrule the mayor's decision. Feinberg then moved to adopt a compensation philosophy with steps for police and AFSCME, but not for administrative employees. Onley seconded her motion. The motion passed 3-2, with Moore and Palakovich Carr opposed. For Item 2, "Approve a new classification structure for FY 2016 consistent with the results of the Compensation and Classification Study performed by the City's consultant," Newton had concerns about having different compensation at the Director level across city staff. Ultimately, she abstained from the vote, which passed 4-0-1. Item 3, "Approve a new pay structure (single or multiple) consistent with the information provided by the City's consultant," passed 3-2. Under Item 4, the Mayor and Council adopted an implementation approach with 50% penetration by a 3-2 vote. The body stuck on the question of bonus compensation in FY-2016, with several motions failing for lack of a second. Finally, a 3-2 vote passed Feinberg's motion to adopt Tract B, 50%, Lump Sum (see chart). At 11:45, Feinberg said, "It’s been a painful process, I think, for everybody." The old switcheroo - the official announcement for this event, published the day after the Mayor and Council meeting July 13, indicates that the Confederate statue public hearing will now be held before the meeting, and will begin at 6:00 PM, Monday July 20. The article has been updated to reflect the schedule change. 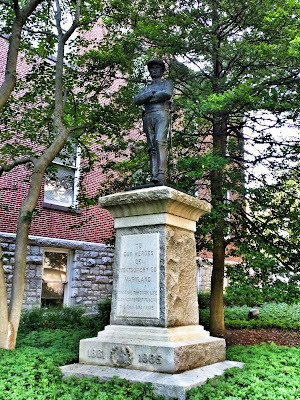 Rockville will have a public discussion of the fate of the Confederate statue located by the Red Brick Courthouse before the Monday, July 20 Mayor and Council meeting. Officials and historical experts are being invited from the Montgomery County Historical Society, Peerless Rockville and Montgomery County NAACP, as are experts on the Civil War. No speaker is yet confirmed. The conversation will be held as a work session before the meeting at City Hall. Since the recent controversy over Confederate symbols began, the question of whether Rockville's statue - which is actually on Montgomery County property, making the statue's fate a county decision - should remain or be moved has been part of that discussion locally. Next Monday's regular Mayor and Council meeting will begin at 7:00 PM at City Hall. 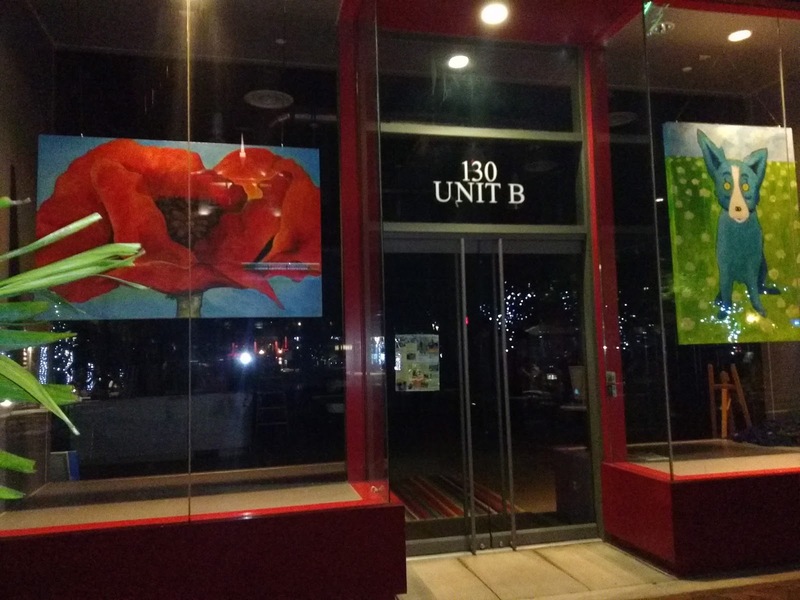 Cloud 9, a clothing boutique at 130-B Gibbs Street, has closed at Rockville Town Square. The space is now for lease, but is currently being utilized by neighbor VisArts as classroom space. 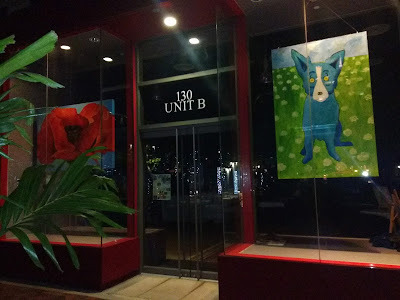 That is the reason you may notice there are artworks prominently displayed in the storefront windows. Cloud 9, with apparel considered by many to be in the style of Anthropologie and Urban Outfitters, still has stores in Towson and Baltimore. 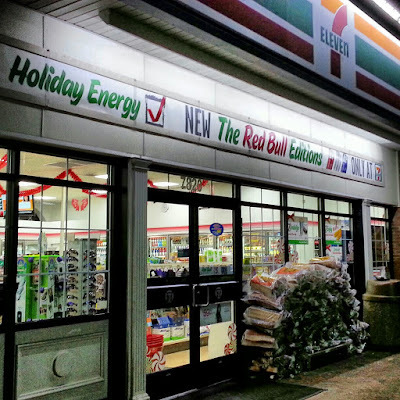 Stop in to any 7-Eleven location in Rockville tomorrow, July 11, from 11 AM to 7 PM, for a free small Slurpee. This year they are also adding on a 7Rewards Week July 12-18. Download the 7-Eleven app for your phone, and you will be eligible to get a free 7-Select brand item (under $2) with the purchase of a Coffee, Chillers® Iced Coffee, Slurpee, or Big Gulp - if you scan your 7-Eleven app those days. Unintended consequences, or a "shell game"? How some changes slipped through along with Rockville's adoption of Montgomery County's school capacity standards, was a question on the minds of several Planning Commissioners at last night's meeting. 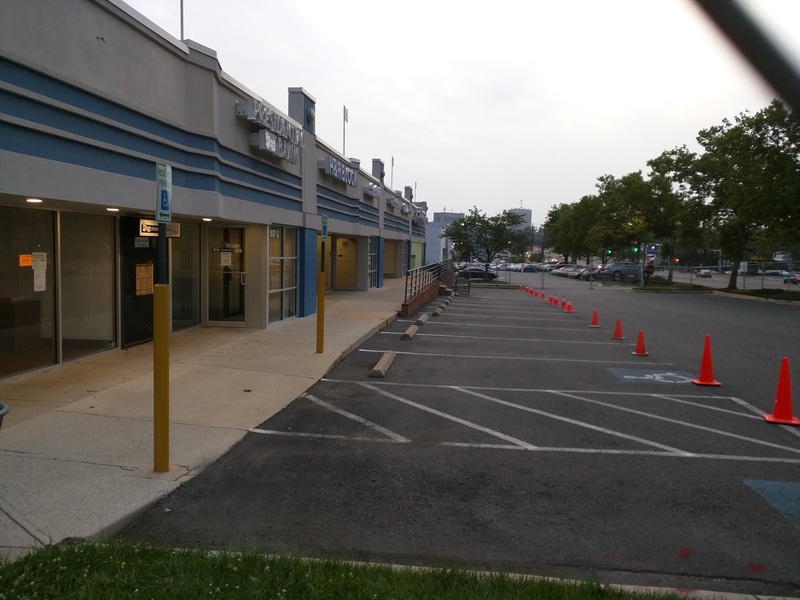 Commissioner Jack Leiderman questioned city planning staff regarding a little-noticed change in traffic standards, which mysteriously accompanied the relaxing of school standards, in the City Council resolution. 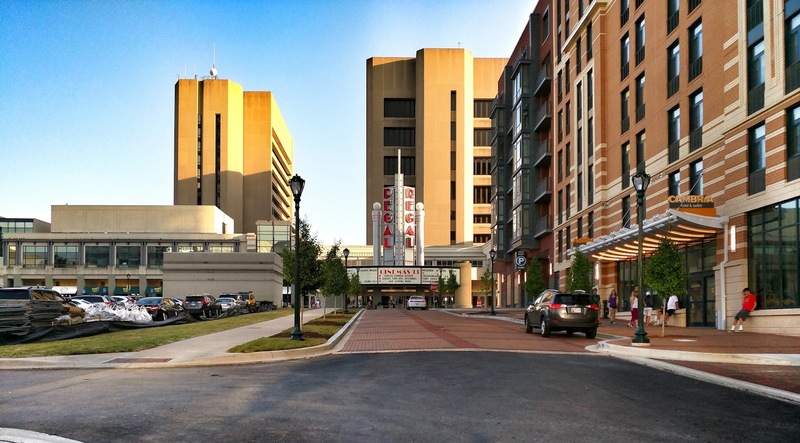 The change now exempts age-restricted senior housing projects from traffic impact standards. As senior housing has little to do with school capacity, Leiderman wanted to know why such a change was made, and how it was done without alerting the commission or the council. "I'm a little bit troubled by the process involved," Leiderman said. Under the new standard, Leiderman argued, if Redgate Golf Course were redeveloped as a Leisure World-style community - minus facilities that would subject it to traffic penalties - the resulting major automobile generator would be entirely exempt. Leiderman said the new policy "could be potentially catastrophic." Staff Liaison Andrew Gunning and Chief of Planning Jim Wasilak said the change likely slipped through when staff tried to match the subdivision staging policy with that of the county's. Leiderman noted that Mayor Bridget Newton brought the traffic policy change up twice during council discussion of the APFS changes. Commission Chair Don Hadley recalled that he mentioned it specifically during his Annual Report briefing to the Mayor and Council. A suggestion of drafting a text amendment to correct the unintended change was proposed by Leiderman. Commissioner David Hill preferred to limit action to a letter alerting the Mayor and Council to the problem. Hadley offered a compromise: a letter that would outline how the Mayor and Council might consider correcting the language. Leiderman moved to adopt Hadley's suggestion; his motion was seconded by Hill. Acting on a question of senior housing had some additional impetus with word that the developer behind the Quality Suites project by I-270 may be rethinking the project. 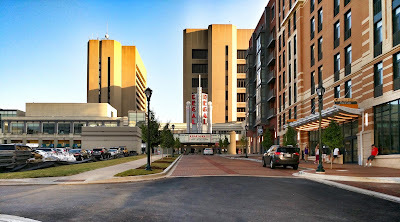 Once planned as "multi-family housing," the hotel conversion had been switched to senior housing, and had obtained a school capacity waiver from the commission under that guise. If the project is reconsidered, the developer technically still has approval for multi-family housing, Wasilak said, having not yet acted on the senior housing plan. The project could now go forward as multi-family housing, now that the moratorium has been lifted by the APFS vote. 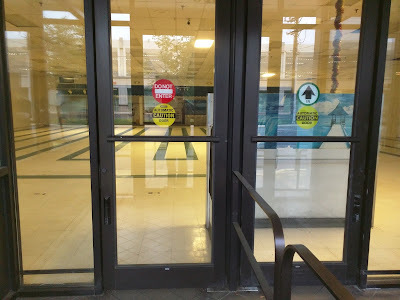 The 3-2 vote by the Rockville City Council to drop the city's tighter school capacity standards in favor of Montgomery County's was the end of the Adequate Public Facilities Standards battle, right? 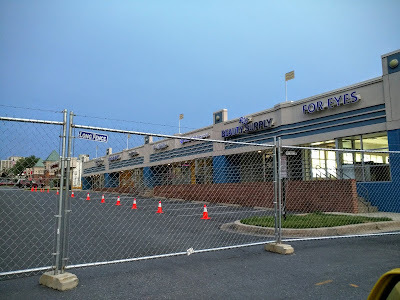 Maybe not, if discussion at last night's Rockville Planning Commission meeting was any indication. 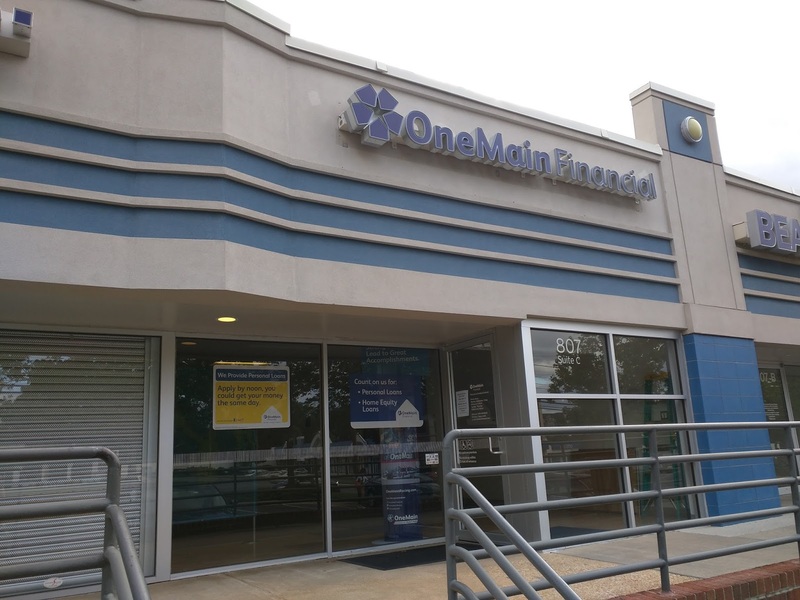 Rockville Planning Commissioner Jack Leiderman, acknowledging to his colleagues that he was opening a "big can of worms," suggested the council's action has several implications the Planning Commission must now address. 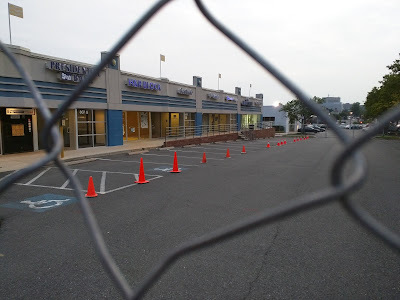 Leiderman stressed that the Mayor and Council had been warned by both a memo, and a report delivered by Commission Chair Don Hadley, that much of the commission's and residents' support for the draft Rockville Pike Plan was predicated on the safeguards provided by the APFS. He noted that the plan refers in several sections to the APFS as written at the time the plan was drafted. By only one deciding vote, Leiderman said, 3 councilmembers "shot the horse out from under the rider." With the APFS "gutted," Leiderman suggested, the draft plan may no longer enjoy the support it once had. In fact, it may need to be revised and adjusted for the new standards, he said. 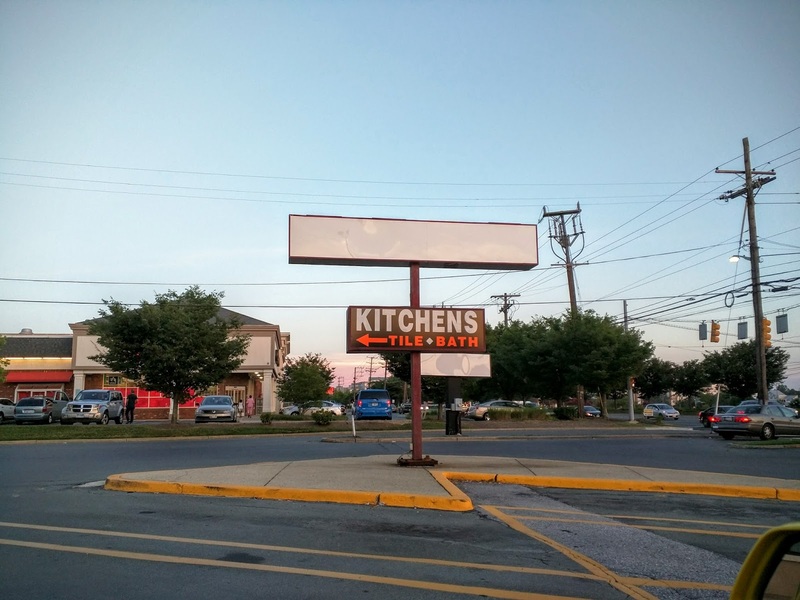 The Planning Commission is required to consider school overcrowding and protect future residents in the Rockville Pike Plan area from having to attend overcrowded schools, Leiderman argued. To that end, he proposed two actions. First, Leiderman recommended the commission add language to the Pike Plan that would reflect the 2005 school standards, and would apply only to the Pike Plan area. What the council passed was only a resolution, not a text amendment, he said. Second, Leiderman asked planning staff to continue to provide commissioners with the same school capacity data it had been collecting and furnishing since 2005. That would mean breaking the numbers down by individual school, forecast over a 5 year period, and also taking into account development that is in the pipeline. Staff Liaison Andrew Gunning said planning staff are still having an internal discussion about how to implement their responsibilities under the new standards. He said that staff will discuss the potential of collecting the old data alongside the new county calculations, and report back to the commission. The presentation by Chief of Planning Jim Wasilak clearly showed how deceptive the county standards are, compared to the former APFS standards. Whereas several areas of the city were in moratorium for development prior to the change, the entire city is now open for development, without a single desk being added to any school. And the cluster averaging shows school capacity being far greater than it is at many individual Rockville schools in reality. Commissioner David Hill said he was uncertain that the commission would be able to have a tighter standard for the Rockville Pike corridor than for the rest of the city. But, he added, the commission should develop a solid argument justifying doing so, if it wishes to act on Leiderman's proposal. Hadley acknowledged that the APFS change indeed has serious implications for the Pike Plan and planning in general. He said that he will work to come up with new language for parts of the draft plan, to reflect the new reality. In short, the councilmembers who sought the standards change may have inadvertently slowed down the already-lengthy Pike Plan process even further. The commission was supposed to respond to a Mayor and Council communication regarding the plan, leading to some debate last night on how to respond. Commissioners voted unanimously to have Hadley draft a cover letter reflecting where things stand in light of the APFS change. 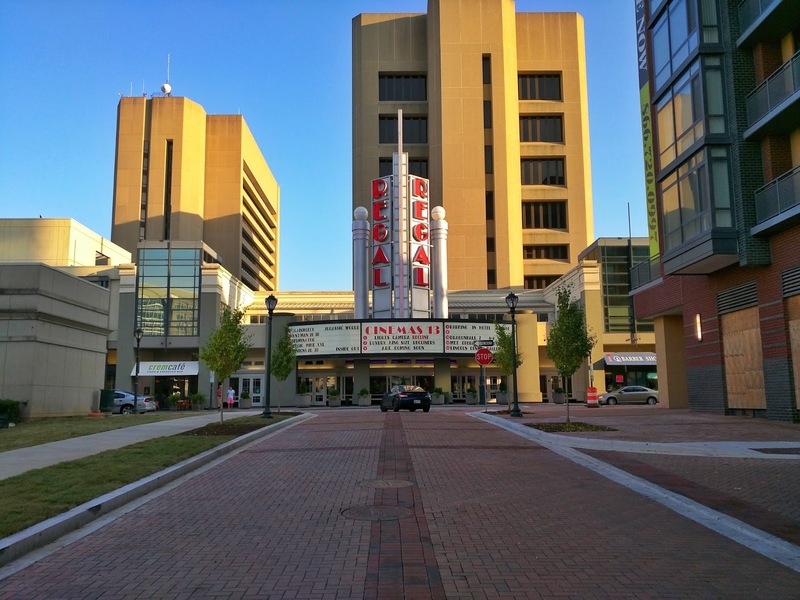 Hadley also said that it may be beneficial for Rockville to have the final Pike Plan informed by the major goals of the city's next Master Plan, a separate process that only recently got underway. 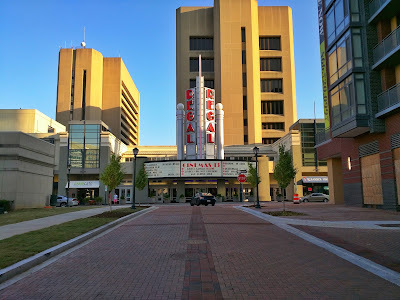 Is there a building constructed in the last decade in Rockville you think deserves major recognition? Does it "foster economic, social and environmental sustainability?" 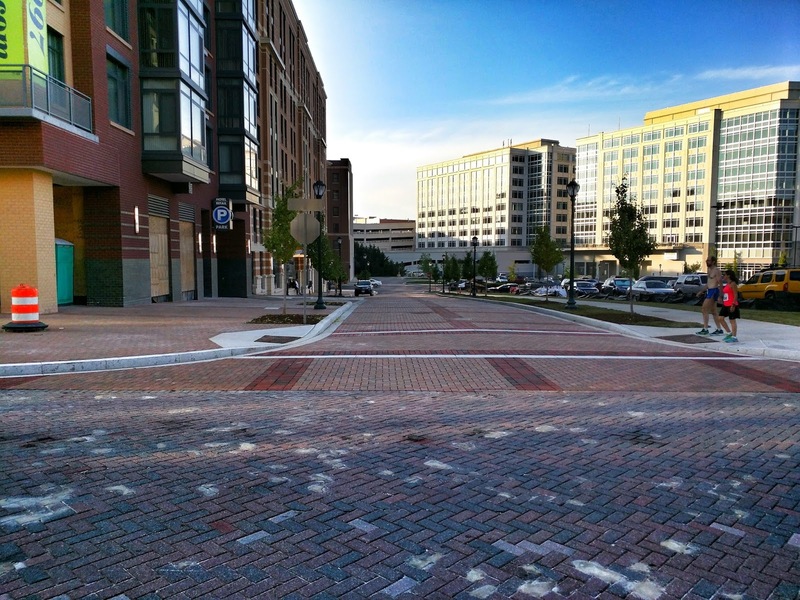 Does it "express the essential qualities of outstanding walkable, sustainable places at the scale of the neighborhood, block and building?" And "illustrate how great design contributes to the community in terms of character, identity and economic value?" You're in luck, at least if you can afford the $175 entry fee, and are prepared to do a lot of writing. The Montgomery County Planning Department is launching its first annual Design Excellence Award. Nominees may be submitted anytime between now and midnight August 21, 2015. The winning building project will be promoted by the Planning Department through its own media portals, and via press releases to the general media, and through features at department events that promote excellence in design. Public and private projects are both eligible. For complete nominating instructions, a list of the professional judging panel and full details, visit the award page on the department's website. The recent closure of Ted's 355 Diner was just the start of significant changes coming to Wintergreen Plaza on Rockville Pike. 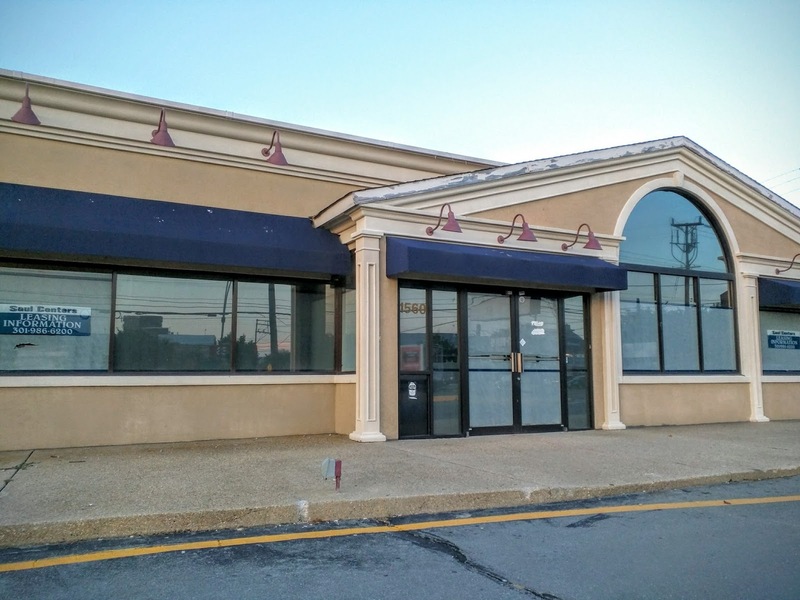 A strip mall structure of mostly financial-oriented businesses has vacated the shopping center, and their former building is about to be reconstructed to create an Ourisman automotive dealership. 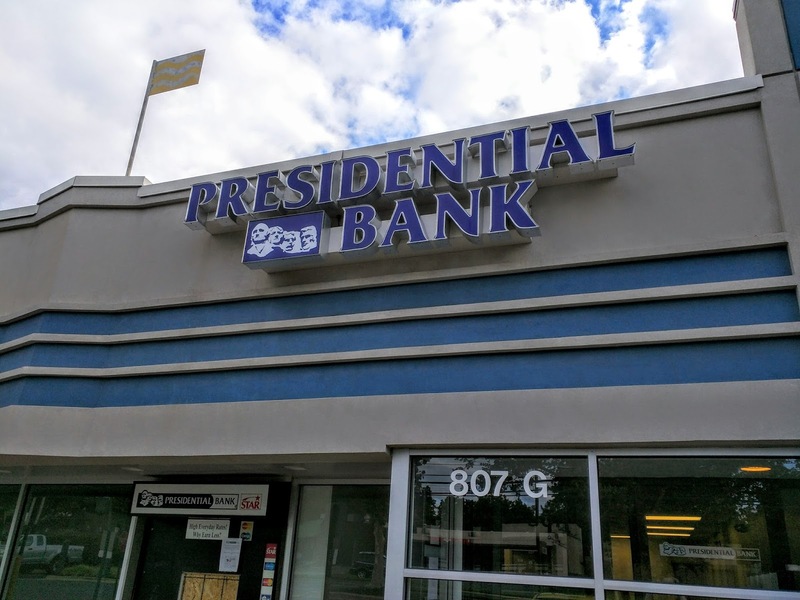 Presidential Bank has moved to 11640 Rockville Pike. Scottrade will reopen July 13 at the Montrose Shopping Center at 5542 Randolph Road. For Eyes is opening up the pike near Roy Rogers. And OneMain Financial has relocated to 1010 Rockville Pike, Suite 304. The brand of automobile to be sold at the new structure, which will raise the height of the building, is not yet known. City building permits name "Ourisman", and in one case, "Ourisman Rockmont Chevrolet". An online message to Rockmont Chevrolet requesting comment was not returned by press time. 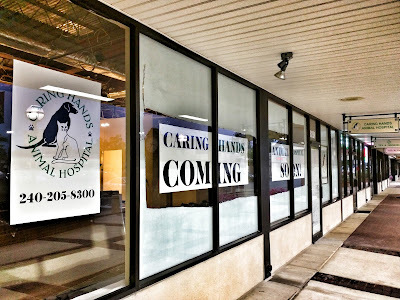 A new animal hospital is coming to Wintergreen Plaza on Rockville Pike. 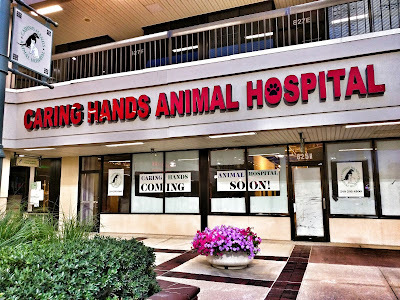 Caring Hands Animal Hospital currently has several locations in Northern Virginia, but the Rockville site will be their first hospital on this side of the river. The company was founded in 1997 by Dr. Michelle Vitulli in Centreville. 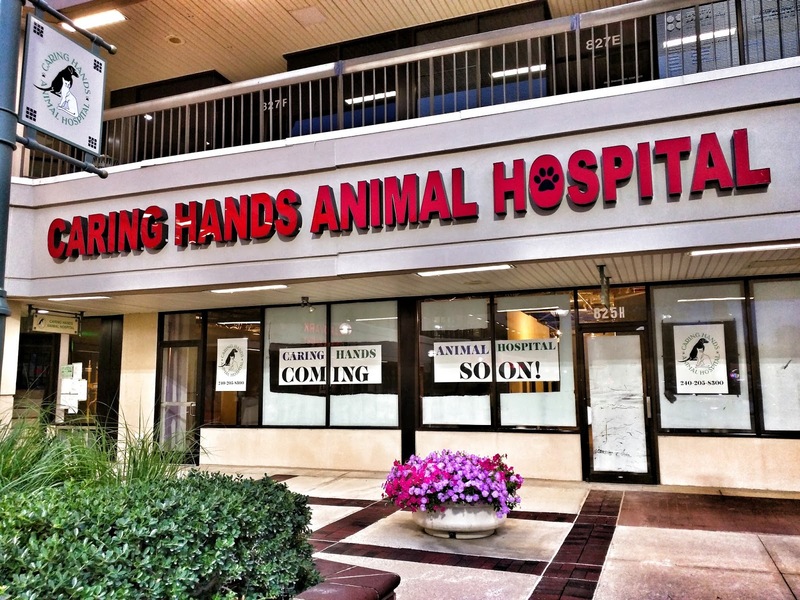 One difference they emphasize with their hospitals, is that they will allow you to accompany your pet at all stages of treatment at the facility.